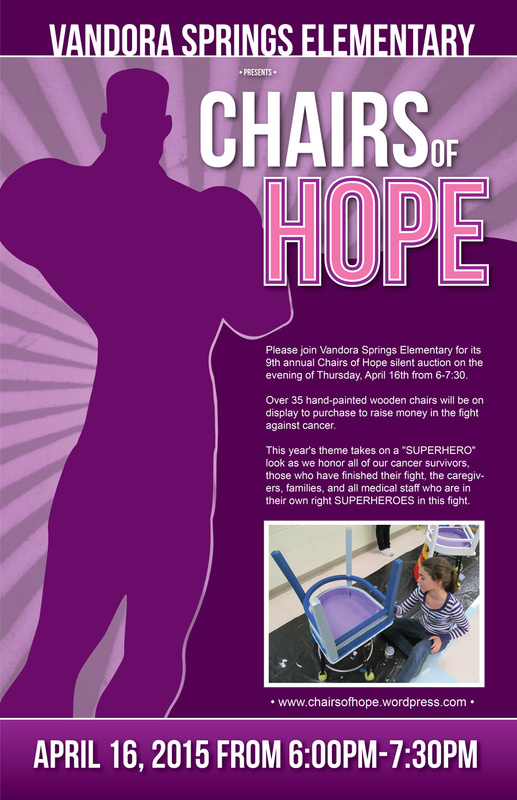 Please join Vandora Springs Elementary for its 9th annual Chairs of Hope silent auction on the evening of Thursday, April 16th from 6-7:30. Over 35 hand-painted wooden chairs will be on display to purchase to raise money in the fight against cancer. This year’s theme takes on a “SUPERHERO” look as we honor all of our cancer survivors, those who have finished their fight, the caregivers, families, and all medical staff who are in their own right SUPERHEROES in this fight. ← Chairs of Hope 2014!